The pirate king had built this courtroom to aid in resolving conflicts before they escalated. 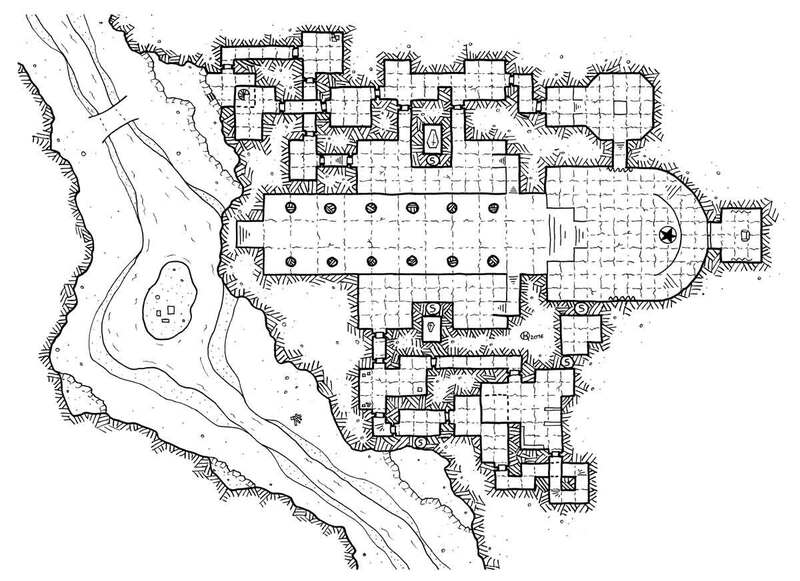 Located under his fort on a small isolated island, basements lead to an underground water channel, and the captains can easily access the stronghold with a rowboat. Lena Colus “the Terrible” often tried to convince her husband to behave like a true pirate. On the day of the king’s murder, Lena took the opportunity to begin a reign of terror and violence worthy of the most famous privateers. She instituted a mandatory fee for those wishing to undertake a filibuster and recruited the best sailors to create the Blood Drinkers: the militia of the Pirate’s Guild, sporting a blood red flag. Now the guild is thriving, and his courtroom has hosted an obligatory annual rite of passage for pirates. Many treasures are stored in the complex. It was rumored that Lena Colus buried her husband and son somewhere in the basement. It would seem she concealed in each coffin a piece of the late king’s secret treasure map.